With a robust and self-contained design, the PA3100 passenger address amplifier provides public address, call signal activation and music entertainment to the passenger cabin and ideally completes the aircraft’s communication management system. The PA3100 Public Address Amplifier is part of the DVCS6100 Digital Voice Control System. It is used to generate and control various messages including signals, tones and sounds. It is used to assign and control public address, call signal activation and music entertainment. The PA3100 includes various features like voice messages, 8 mono or 4 stereo amplifier outputs and double tone/chime sounds used for „NO SMOKING“ and „FASTEN SEATBELTS“ announcements. 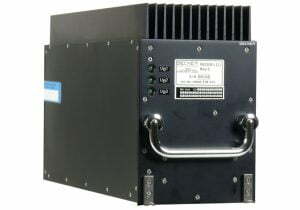 Designed as a mono-block device with a compact and smooth design, the PA3100 is well suited for installations in the avionics compartment of various types of aircraft.